You have to rewind the best part of a year to find the root of the expansive bubble of anticipation that’s bloated about the five small-framed individuals that comprise Oxford’s Foals. All the way back to South By Southwest, when a series of sets left Brits Abroad spinning dizzy with delight between bottles of Lonestar and paper plates of barbequed pork. Forget the true origins of the band – the ‘Try This On Your Piano’ seven of 2006, the shows featuring founding member Andrew Mears (now focussing exclusively on Youthmovies), the slip-slide standalone successors of ‘Hummer’ and ‘Mathletics’ (if you miss them that much, buy the US import version of this) – for they have no place here, in 2008, on one of the year’s most ridiculously pre-release scrutinised debuts, Antidotes. South By Southwest, the music conference of the year, confirmed Foals as a live tour de force in the minds of mainstream press types, a band capable of twitching toes into perpetual motion inside All Stars, of disassembling modern indie-rock and redesigning it using broken rulers and shredded blueprints. That ‘math-rock’ tag never really stuck though; instead, Foals’ own architects revealed their plans to produce a pop record, relatively speaking. Previous bands – notably The Edmund Fitzgerald, which spawned the face and backbone of Foals in the forms of Ioannis/Yannis Philippakis (vocals, guitar) and Jack Bevan (drums) – were enthralled with stateside indie-rock, the sort that’d mutated over the years into myriad odd-genres. Drawing heavily on the technical proficiency of post-rock and the intricacies that informed Tim Kinsella-schooled guitarists, The Ed Fitz peaked early and ran out of room to grow into. The logical step: smash it up and start again, Philippaqis telling DiS only last month that the goal was to “make something more straightforward and direct”. That’s precisely what Antidotes is the realisation of – an aim to refine ambition into direct compositions that toy with the idea of being experimental in an industry still dominated by sound-alike guitar rock, but that also throw off the stuffy shackles of technical prowess over pop immediacy to craft songs that bite and kick without bogging themselves down in self-manifested over-musicianship. The songs to bite and kick first are the ones you, probably, know already. Lead single ‘Balloons’ is, snugly fitted into this album’s middle-section, as good a ‘summariser’ as any label could hope for when building fanfare for a debut album. The vocals punch above the weight expected from such a diminutive frontman, shrieks filled with unexpected acerbity, while the propulsive skin-pounding will be echoed across a number of album tracks. This isn’t Bevan as Ed Fitz fans knew him – the boy who’d need to slump down at the end of every song, so exhausted was he; he’s since employed an economical approach which showcases his abilities brilliantly without over amplifying the backbeat above everything else. Thus, those other already-familiar offerings of ‘The French Open’ and ‘Two Steps Twice’ feel richer in sound than the live EP of last year could ever have suggested, a warmth washed atop them that brings out the keyboard parts while cool guitar lines hiss as they’re picked out by dancing digits. Although there’s a production-generated glossiness to friendly-faced tracks, Antidotes quite markedly lacks the soul that filters upwards whenever the five are caught live. It’s a studied collection, purposefully cold you feel in terms of human foibles and facets of burnt passion; rarely does Philippakis sound like he’s channelling any demons, lending an odd air of anti-catharsis to many a track. If he’s not convincing us, why should we care for his words? Many won’t – but then again the expression is entirely secondary to the employment. 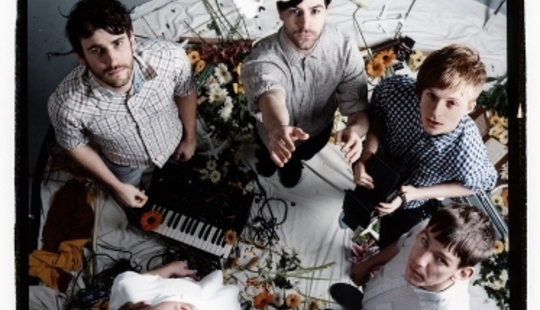 Foals use vocals as a melodic device, paralleling tweaked strings and skitter skins. So when they do crack, heart exposed, the affect’s stirring: ‘Big Big Love (Fig.2)’, which recalls Pretty Girls Make Graves’ moving ‘Pearls On A Plate’ with its overtones of melancholy, and ‘Electric Bloom’ stand apart as songs which capture Foals shorn of designer artifice, their techno-influenced pattern-based pieces scattered by something approaching real feeling. This is not an accusation that elsewhere the band hides behind distracting wizardry, as we’ve already dismissed the ‘math’ elements; simply that the few instances where something more seeps forth are the most rewarding, and provide Antidotes with essential longevity. Which is something few other super-hyped debuts have enjoyed of late. Klaxons’ Myths Of The Near Future, an album which shares many similar core elements with Antidotes, suffered from too much filler flab, suffocating its brilliant singles in an album context; Adele’s 19_ feels too hurried for its impact to last beyond the January flurry of positive feedback. Only Arctic Monkeys have really delivered a make-good debut recently, an album that went the distance, right the way up to its (better, even, perhaps) successor. 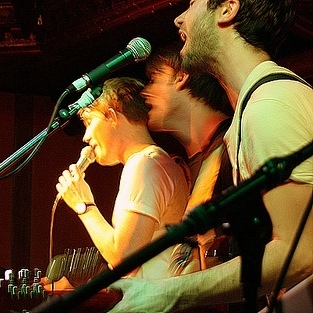 There are hints here that Foals can follow in the Sheffield act’s footsteps: ‘Tron’, _Antidotes’ closer, combines the formula perfected in the eleven preceding tracks with greater vocal contributions – back-ups from other band members coming to the fore – and more effective use of the horns provided by NYC collective Antibalas. There are instances where brass is shoehorned ineffectively, but come the album’s climax, and on mid-section conclusion ‘Heavy Water’, the collaboration works well. It’s certainly an aspect of Antidotes that’s worth revisiting on album two, albeit with a slightly greater degree of attention to where effectiveness leans too close to irritation. ‘Heavy Water’’s impact is heightened by the gap between its fizzing finale and the wandering lines of ‘Two Steps Twice’’s introduction, a technique utilised earlier ahead of the arrival of ‘Balloons’. Antidotes isn’t quite the free-flowing album Philippakis promised when DiS sat down with him last month, but it does feel like three chapters forming a well-worked whole. The way ‘Red Socks Pugie’ (give it an edit and it’s the band’s first top-20 single) segues into the also-excellent ‘Olympic Airwaves’ is most gratifying; then the first chapter, if you will, peaks with ‘Electric Bloom’ before a prolonged silence raises the tension for ‘Balloons’. Intentional or otherwise, this fracturing of Antidotes is to its benefit, and makes its digestion that bit easier for anyone under the impression that Foals are making inaccessible music. One obstacle is the lyrics, as previously noted: interpretations can be hugely varied, so it’s best to not go there until the band’s own track-by-track account of the album, coming exclusively to DiS in the near future. Suffice to say there’s fun to be had picking apart the few words that pepper each track; make your own meanings, please. Fully fledged fans of below-the-radar acts rarely make albums that titillate tastes more accustomed to commercial radio airwaves and homogenised music television. 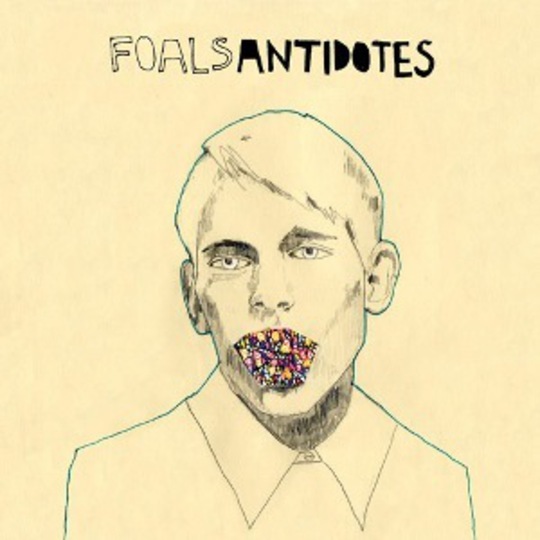 Les Savy Fav are maybe making inroads, but Foals are leaps and bounds ahead of the Brooklyn outfit, Antidotes sure to make a major impression on the albums chart come its March release. This from five guys raised on a steady diet of punk rock, who still cite Charlottefield as one of the most important domestic acts of the moment, and Sweep The Leg Johnny as American greats. They’re not meant to be making pop music, right? Wrong, and perhaps it’s this opinion that’s led to the rumblings of a backlash even before this album’s in stores. Foals’ take on pop isn’t 100 per cent unique, but what is? They’re not the revolutionaries they’ve been painted as by know-nothing blabbermouths with too many hands in industry pockets to ever open an album worth its recording budget. They are a popular band for a populous pining for The Next Step, the tiniest of advancements that takes us from Bloc Party and Klaxons to, well, Foals. Two steps, twice? Nah, one will suffice for the meantime, but album two could well dash three or four forward if the limitless dreams of these five blossoming musicians go unchecked. For better or worse, it doesn’t matter. We’ve a debut to cherish for years to come already. Promise delivered, divided by expectations frenzied, multiplied by still-evident potential for future releases… equals a Pitchfork-style 8.6. If you’re still hanging Foals on that unsightly ‘math’ hook. 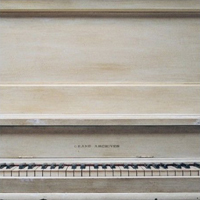 Antidotes (forthcoming) and the new single 'Cassius' can be pre-ordered HERE.